OUTSTANDING flowers with pale pink to white petals with dark purple feathering on the outside and a yellow throat. An excellent recent introduction raised by Mr. Ray Cobb from Nottingham. 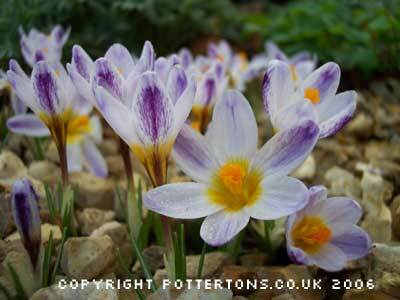 Very hardy and a tough garden variety that persists and increases well.